I do on location photography and studio sessions in my home. I photograph babies, families, seniors, weddings and events. Give us a call so you’re not stuck at home! 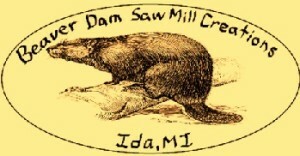 Beaver Dam Saw Mill Creations is a small artisan workshop in SE Michigan, building unique custom crafts, furniture, toys, bars, and outdoor items. Charming shop that offers a wide variety of items all handmade in Ida. Wreaths, picket fences, rustic birdhouses, primitive benches, twigs, berries, shutters, ornaments, sleds, grapevine/rustic decor, decorative windows and much, much, more!! Also offering Olde Thyme Scents. Hand poured jars and tarts available in homestead scents that will bring a warm welcome to any home. Scentsy offers a safe alternative to candles! We have a system that uses electronic warmers to slowly melt specially formulated wax to make your home smell sensational! The wax is warmed to 52 degrees so it won’t reach a temperature that could cause injury! Scentsy also offers other ways to deliver scents, including diffusers and the Scentsy Go! With the Scentsy Go you can take your favorite scent anywhere because it is battery operated and rechargeable! Other items include essential oils (for use in diffusers only), laundry line, a body line, kids bath line and scented buddies (stuffed animals) for kids! On a personal note….Many years Dr. Maolood INSISTED I go into the hospital for treatment of a spider bite on my foot. It was the day before one of our very first Ida Community Days, I had a zillion things to do before the event. I learned a valuable lesson from the Doctor…Things are able to proceed without you if push comes to shove. I made some calls for people to take over, even my young neighbor Katie marked off the spaces for that years cow drop contest. I was also able to find someone to feed baby birds that I was feeding at that time…. Thanks Dr. Maolood for the reality check! Thanks also for having people around me that I am able to count on! Freshly baked pies and breads, cookies that melt in your mouth, and plump berries canned into your favorite jams are just a few of the goodies you’ll find! in all aspects of the coffee business. I have created a micro-enterprise business to create a unique and rewarding opportunity for my son and his friends who struggle with intellectual and developmental disabilities. There is a great need for life enriching programs/jobs for adults with disabilities in our community; which is why Breaking Beans Coffee is more than just another coffee vendor. Breaking Beans Coffee is designed to train and employ adults with disabilities in all aspects of the coffee business. Right now, we are only selling high quality coffee but with your help, we would like to grow this business into a local coffee boutique. So how can you help…its simple, order a bags of beans today for the best cup of joe around. Let me do your holiday baking for you. I make handmade treasures. I crochet, quilt, sew, some cake decorating (no wedding cakes), and more. I also teach some classes at JoAnn Fabrics. I have pictures on my site of a lot of what I have done, but if you don’t see what you are looking for, just message me, and I will let you know if I can do it. I keep my prices reasonable so everyone can enjoy something made with love. Follow my Facebook page to see what new projects I am making, and to see what craft shows I will be at. I’ve always been a crafty girl. Making candles and tarts to make homes and office’s smell great and bringing a smile to someone’s face is my new love!! I make 16oz mason jar candles 6 cube tarts from 100% Soy Wax that was made in the USA with domestically grown crops. Candles and Tarts can be purchased at Old Country Treasure’s in Ida or you can order through Email/Facebook. My names Megan and I work mainly in Oil paint and sometimes in soft pastels. I do anything from landscapes to pet portraits. What better gift to give than a gift of safety? Those green reflective signs that you place out by your driveway can be real lifesavers. Link above will take you to the order blank with instructions. 100% all natural, GMO free food that is completely free from anything artificial! Wildtree is also low salt and low sugar, and there are many choices for Gluten free and dairy free individuals. It is also 100% peanut free! You can actually read the labels and know what you are eating! I offer tasting parties (invite your friends and learn about this great product while enjoying the delicious food and earning free groceries for yourself!) Freezer Meal Workshops (invite your friends over purchase freezer meal bundles and create simple to make dinners that are amazing, if you have 8 buying guests you will earn your bundle for free!) There is also the option to just order directly off the website, or get with me for cute gift packages. Follow my facebook page for updates on open houses, tips and yummy recipes! Initials Inc. is a bag, tote, and purse company that offers FREE personalization! I’m a local independent consultant and offer services in our community. Beyond Basics Health Coaching is a holistic nutrition education company. We have mainly done one-on-one coaching for many years and have developed a structure that has produced amazing success with our clients! Home based massage service offering relaxation and theraputic bodywork in a quiet setting. Call and book an appointment for a massage customized to meet your needs. Provide quality boarding for dogs and cats and quality positive reward based training for dogs. Delicious, sweet strawberries in June! We have gift certificates available to make your gift giving easy. The recipient will think of you while picking their beautiful berries. Visit our website at www.whittakersberryfarm.com to sign up for our email list! A quaint little restaurant in the heart of Ida. We serve BREAKFAST, LUNCH, DINNER & everything in between. We have pizza, burgers & a whole ice cream menu. New to the menu- fried pickles! I am a selling artist with a studio in my home here in Ida. I work mainly in acrylics, and mixed media. I have 2 styles, the straightforward fine art pieces and then my Inspired Whimsy girls. I do commissions as well. Old Country Treasures in Ida carries some of Brandy’s beautiful cards. A Pack of cards and a book of stamps…. what a great gift! This is your LOCAL Cancer Agency that helps people with cancer. CANCER CONNECTION offers an array of services to cancer patients in all Monroe zip codes. DONATIONS are not required, but are welcomed. A donation in honor or in memory of someone makes a wonderful gift. Delker’s Automotive is a full service repair shop that has been servicing the local community for over 75 years. We opened in 1935 and continue to grow. Stop by and check out our newest addition! In the past few years we have started shooting local, regional and even some National Acts. Stotz’s Stand and Pumpkin Farm provides quality, freshly picked produce throughout the spring and summer. For over 35 years the Dusseau family has created many special memories with their beautiful banquet facilities for your wedding reception or ceremony, party or corporate event. A Touch of Class Catering offers a wide selection of menu and catering options for your event on or off premises. Your catering options include a wide variety of table settings, fine linens, chair covers, background settings and centerpieces to fit your needs or color schemes. Please contact Kathy or Mark Dusseau to tour Dusseau’s Reception Center. Who wouldn’t LOVE a Gas Gift Card? What better gift to give than giving peace of mind to your loved ones. Plan ahead for those you love. St. Bernard Builders is a 43 year old building business that does all phases of construction—additions, roofing, siding, garages, mason, new construction, insulation, gutters and more. Trust BBB Vending for your vending needs. Rocky and Roger are who we always call for our plumbing and heating needs. It is great to have someone local to call when we need help. website design and business marketing studio. to our customer’s unique needs. Please come and see owner, Bill Wilt, for all of your design, print, website and business marketing needs. We are a family owned and operated business located in Ida Township. We supply portable restroom rentals for special events, parties,and businesses. Portable Restroom Rentals offers grey and pink standard units, handicap units, handwash stations, and sanitizer poles. We supply dependable service at a quality price. Call us for septic tank cleaning, repairs, pump-n-haul contracts, serving both residential and commercial service. Our phones are on 24/7. We like to think that we are SW MI’s best source for inflatable rentals. There are many operators in the area but none of them can deliver the same quality themed bounce house like we can. We offer the most competitive pricing option around and our customers return to us because of our service and willingness do what it takes to make their party the absolute best experience possible. We just celebrated our 7th summer in business so you can trust that we are professional, courteous and here to stay. We are happy to be located in both Temperance and Toledo. We are a veteran owned family business and we strive to contribute back to the communities we service. Ryan’s Nursery is a family owned and operator Christmas tree farm located in Ida, MI. Come check out our large selection of Spruce, Pine, and Fir Trees! We have a large selection of cut your own Christmas trees including White Pine, Scotch Pine, Blue spruce, Black Hill Spruce, Douglas Fir, Frasier Fir, Con-Color Fir, and Cannon Firs. Thousands of trees to choose from! Bring a saw, borrow a saw, cut your own, or we will even cut it for you! Sizes vary from 2 feet to 12 feet. Free tree shaking for every tree and tree baling for only $2 per tree! Located on the gravel part of Jackman Road, just 6 miles North of Alexis Rd. and only 10 miles South of Monroe, MI!